With society still reeling from the Aug Incident - the Illuminati orchestrated event which caused augmented individuals to mindlessly attack their "natural" counterparts - anti-aug sentiment is at an all-time global high. Task Force 29 stands as the world's main defence against total anarchy. 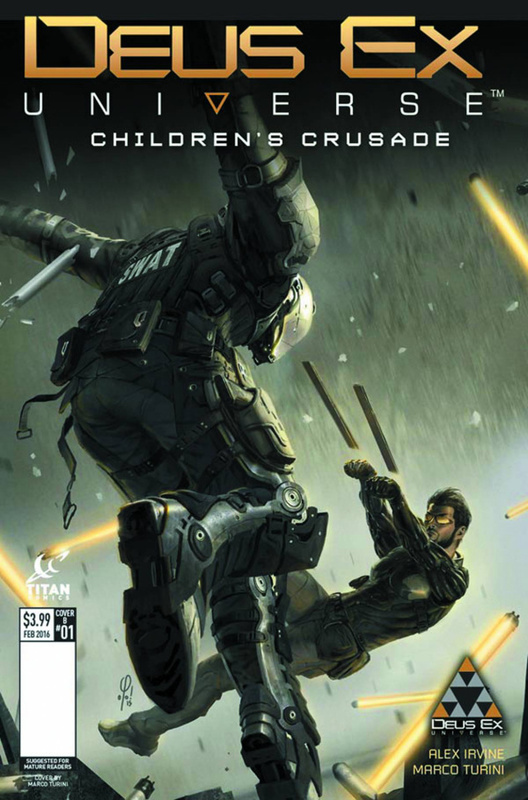 In the city of Prague, where tension is especially high, the team's latest recruit, Adam Jensen, readies for his first mission with the unit. But being augmented himself, how will the former SWAT officer handle himself when faced with the grim reality of the mechanical apartheid? Welcome to the darker side of Deus Ex in this thrilling prelude to the upcoming new instalment, Deus Ex: Mankind Divided!